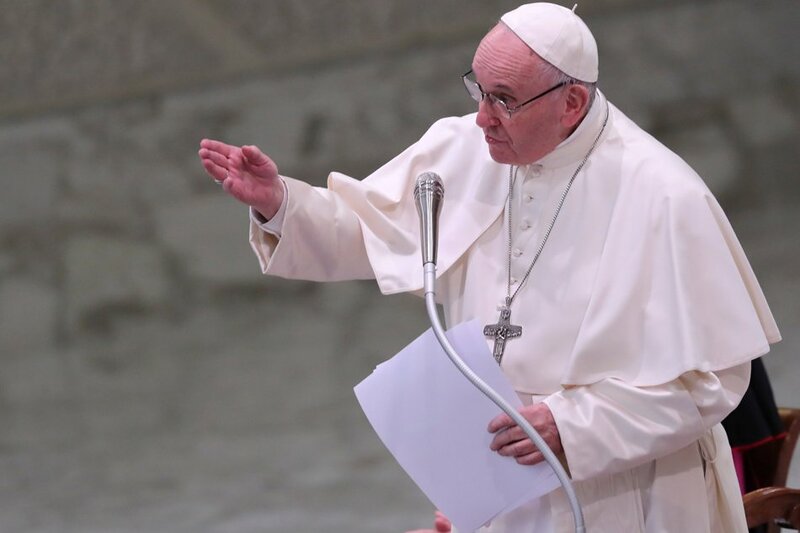 VATICAN CITY – Pope Francis has warned against the temptation of “triumphalism,” encouraging Catholics to follow Jesus’s way of humility and obedience exemplified in His Passion. “Joyful acclamations at Jesus’ entrance into Jerusalem, followed by his humiliation. Festive cries followed by brutal torture. This twofold mystery accompanies our entrance into Holy Week each year,” Pope Francis said on Palm Sunday, April 14. The pope emphasized the importance of “the silence of Jesus” throughout His Passion. “By our silent witness in prayer we give ourselves and others ‘an accounting for the hope that is within,” he said. Palm Sunday is celebrated as the local “World Youth Day” for Italians. Pope Francis invited the young people gathered in St. Peter’s Square to read his recent post-synodal apostolic exhortation, Christus visit. “In this text, each of you can find fruitful cues for your life and your journey of growth in faith and in service to your brothers,” Francis said.